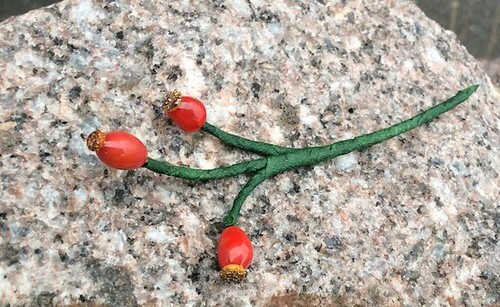 Nothing special, but autumny beads I made a while ago, just to get the ball rolling! 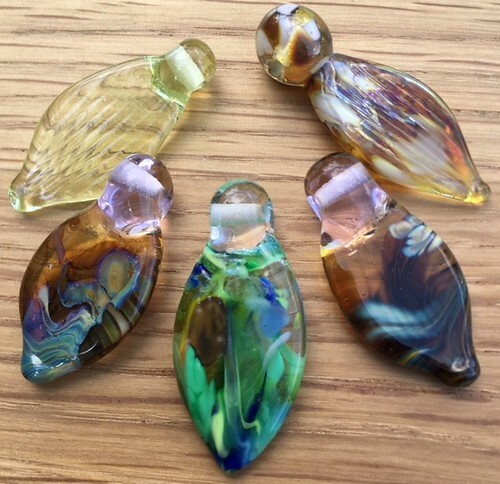 Any glass creations also welcome - not just beads! Good for you starting off th theme. Lovely leaves. Wow those halloween beads are fabulous ! Fantastic. Colours and incredible stringer work. 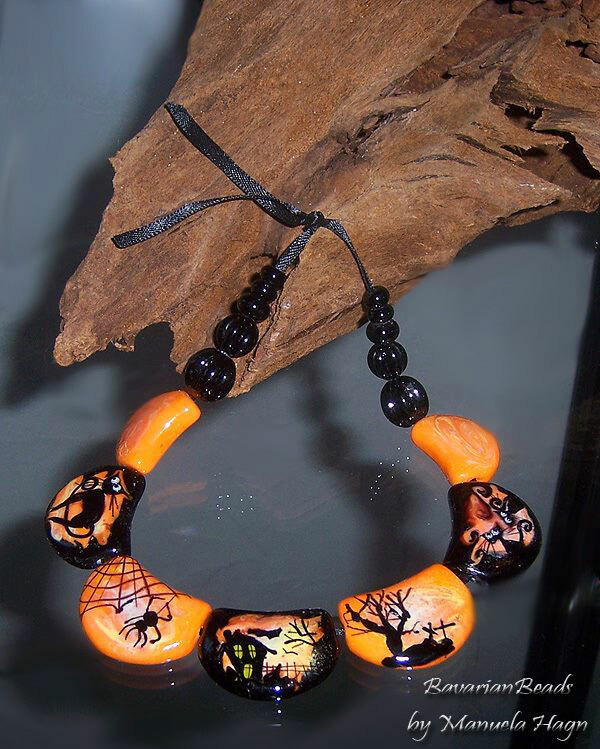 Love the colours you've got in your leaves, Marg, and the Halloween beads are fab! 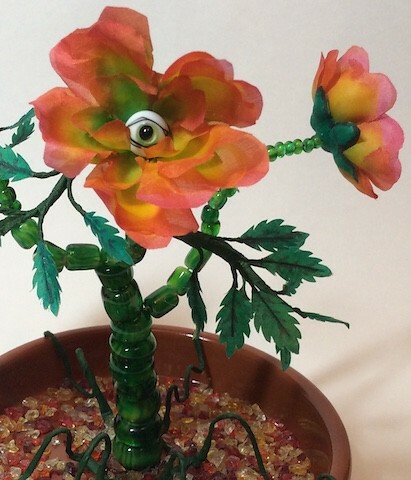 I can see the lovely leaves, but not the Halloween beads! 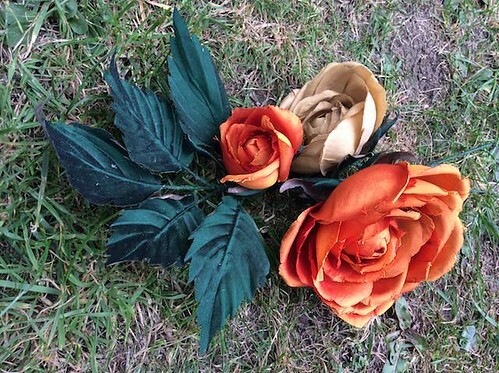 I did a course on silk flower making, so here is my autumn-ish contribution: autumn roses, glass rosehips, and a torchworked plant with silk flowers, keeping a beady eye on those who try to trash the environment!